Vitamins, minerals, and fiber are needed for healthy eyes, skin, hair, blood, and digestion. They are also needed to keep your immune system strong, which will help you fight colds, the flu, and other diseases. Take our quiz to see if you are getting enough vitamins, minerals, and fiber! 1. How often do you eat bright yellow, orange, or red fruits and vegetables like bananas, oranges, apples, carrots, sweet potatoes, or red peppers? 2. How often do you eat dark green vegetables like spinach, broccoli, asparagus, romaine lettuce, or kale? 3. How often do you eat whole grain cereal? I can't start my day without it! 4. How often do you eat beans, legumes, nuts, pumpkin seeds, or sunflower seeds? 5. How often do you eat whole grain bread or whole grains like wheat, corn, oats, barley, and brown rice? 6. 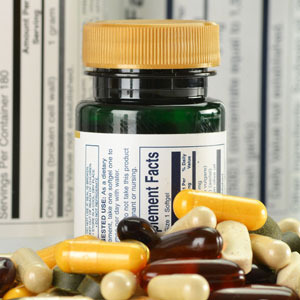 Do you take a multivitamin?